Hands down, the best week in elementary school was that which led up to Valentine’s Day. Mini mail cubbies would overflow with pink, red, and white paper shapes covered in squiggly notes and stickers. Crowd-sourced love notes from classmates turned into a high-stakes mystery; you couldn’t help the urge to read between the lines wondering which messages really meant it. 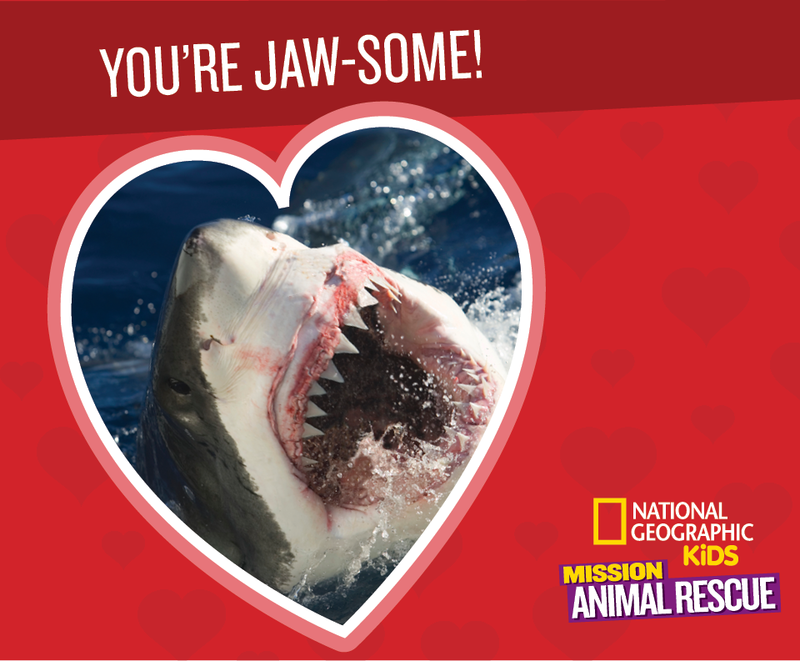 Here at National Geographic, our kid-savvy team created some adorable valentines for you to download and share with kids near you (or for yourself!) that carry a deeper message, too. Download and print all the valentines here! Animals all around the world need our help. They compete with us for space to live, and the right to live in safety and peace. We hear about these challenges everywhere we turn, and it’s often hard to know how to help when the challenges feel unbearable and faraway. Truthfully, the biggest way to help is to be aware. That awareness will help us collectively make better decisions for the quality of life for all on our planet. Each month, National Geographic Kids poses new challenges to help kids learn creative ways to raise awareness about some of our planet’s most iconic species. 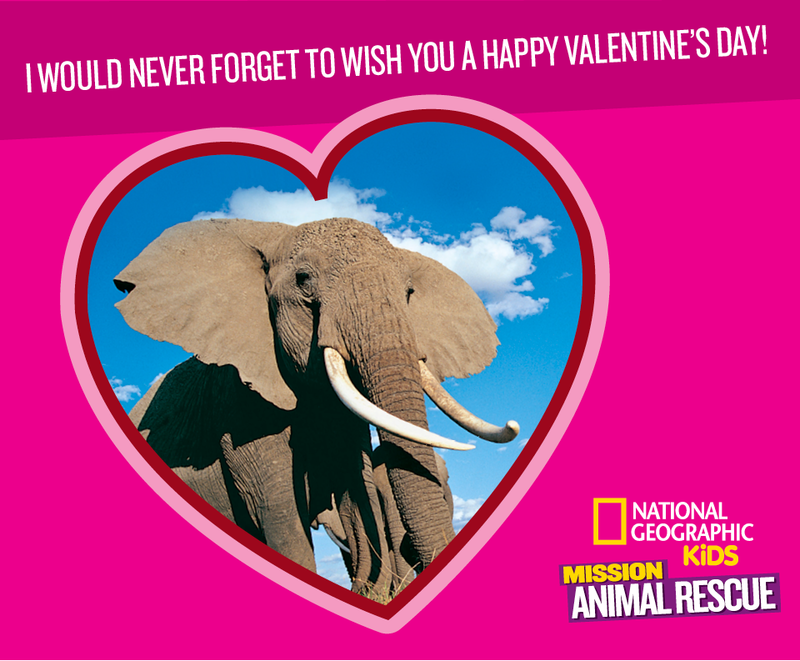 February’s challenge is an easy one: share these valentines and explore more ways to help at Mission: Animal Rescue. You can also spread the love through social media. Tagging posts with #MissionAnimalRescue will enter you for a chance to win a book! The giveaway this month will be a copy of either Mission: Polar Bear Rescue, or Mission: Elephant Rescue. Your ideas keep our hearts alive, and we welcome you to share how you and your kids are helping animals—or if you have a great story about sneaking these into a mailbox near you. Join our conversations with educators on Facebook.com/NatGeoEducation, and find more fun at Facebook.com/NationalGeographicKids. Please tell me how to print the Valentine’s Day mission animal rescue cards. Thanks! Here are links to our Mission Animal Rescue Valentine’s Day cards!